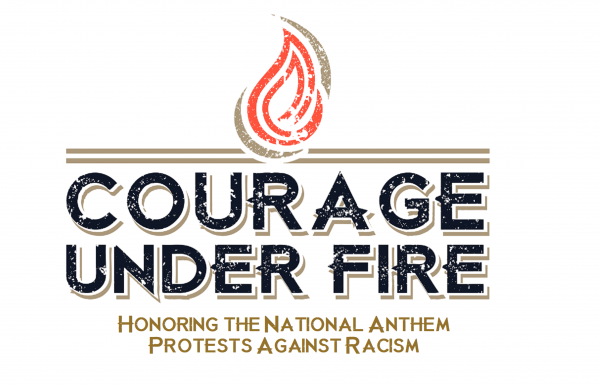 Your decision to stage a silent protest against racial injustice by remaining seated during the national anthem is one of great courage and intestinal fortitude. Your protest and follow-up comments have been met with excessively vitriolic reactions, including condemnation by members of the military on whose behalf detractors purport to castigate you. Members of the armed forces are no monolith; and I, a currently serving active duty officer in the U.S. Army with over 16 years of service and 38 months of deployment to Iraq, Afghanistan and the Philippines, believe that your protest should be not only commended but also emulated. The dehumanizing and abhorrent treatment of black Americans is this country’s original sin. Its longevity, adaptability and present-day ubiquity is beyond dispute, as evidenced in everything from housing discrimination to the institutionalized racist application of lethal force by government officials. This makes racism unique regarding the attention that those with power and influence must dedicate to it, as well as the magnitude of efforts required to destroy it. The arguments espoused by your critics are quite disturbing in their irrationality, illogic and racially discriminatory foundation. These arguments primarily fall into three categories: 1) Your method of protest is wrong; 2) Your stance is disrespectful toward the military; and 3) You fail to exhibit the proper degree of gratitude for being an American citizen. Critics who support the first argument contend that, while they respect your right to freedom of speech (which, in fact, protects only one’s right to freedom of speech without government abridgment), they disagree with your method of exercising that right. Your method was simply not to stand for “The Star-Spangled Banner,” a song whose racist story, author and lyrics should motivate all Americans to refrain from paying it homage. You did not disrupt anyone else’s ability to listen to or sing the national anthem. When you stated in an interview that you were not going to stand up and show pride in a flag representative of a country that oppresses black people, you did not proceed to urinate on or otherwise vandalize a flag, though you would have been well within your right to do so, as held in the 1989 Supreme Court case Texas v. Johnson. The second set of arguments made by your critics is that refusing to stand for the national anthem is disrespectful to the military members and the sacrifices they have made in defense of this country. Setting aside the naked attempt to exploit the high esteem in which this country holds soldiers and use this fact as a bludgeon in support of their position, the invoking of service members’ alleged collective outrage at your actions, mostly by those who have never served, is disgraceful. All service members take an oath to defend the Constitution of the United States—not a flag, a song or any other symbolic item to which some, including service members, have attached their own authoritarian brand of patriotism that they desire to (undemocratically) foist upon others. Therefore, the lawful exercise of the constitutional rights that military members have made enormous sacrifices to defend cannot, per se, be disrespectful to members of the armed forces. This argument is illogical and raises the question of what really underlies the visceral response to your actions. I posit that the answer is racism. The third and final set of arguments asserts that you should be grateful to live in a country that affords you the ability to make your lucrative salary playing football, as well as the right to be critical of your country and its government officials. The contention that black Americans should be grateful for the opportunities available and the right to live in this country is a recurring one that illustrates the overtly racist and astoundingly ignorant premise that black Americans are not legitimate citizens of this country; that we are subject to some kind of Sisyphean loyalty- and authenticity-verification requirement. Gratitude for a thing or action frequently implies that it is something to which one would not otherwise be entitled or authorized to receive, and therefore, one should be thankful for its provision. The 14th Amendment unequivocally settled the question of black Americans’ citizenship in this country. Thus, this insistence that black Americans should be grateful for living here as if we were in a “citizen lite” status is ridiculous and insulting. Manifestations of this underlying sentiment were evident in 2005 when reports about Hurricane Katrina referred to black Americans as refugees, and again in the Rio de Janeiro Olympics when Gabby Douglas was castigated and called unpatriotic for not placing her hand over her heart during the national anthem, while the silence was deafening when Ryan Crouser and Joe Kovacs, two white American shot put athletes, also failed to do so. Regarding your purported lack of gratitude in particular—this is not the only country on planet Earth where athletes make extraordinary amounts of money. On the Forbes list of the 100 highest-paid athletes, a number of sports and countries are represented. Second, you earned your $114 million contract with your exemplary play during the 2012, 2013 and 2014 seasons. Finally, it is irrelevant whether one makes millions or a few thousand dollars per year—the right to freedom of speech is sacrosanct and not predicated on wealth or status. 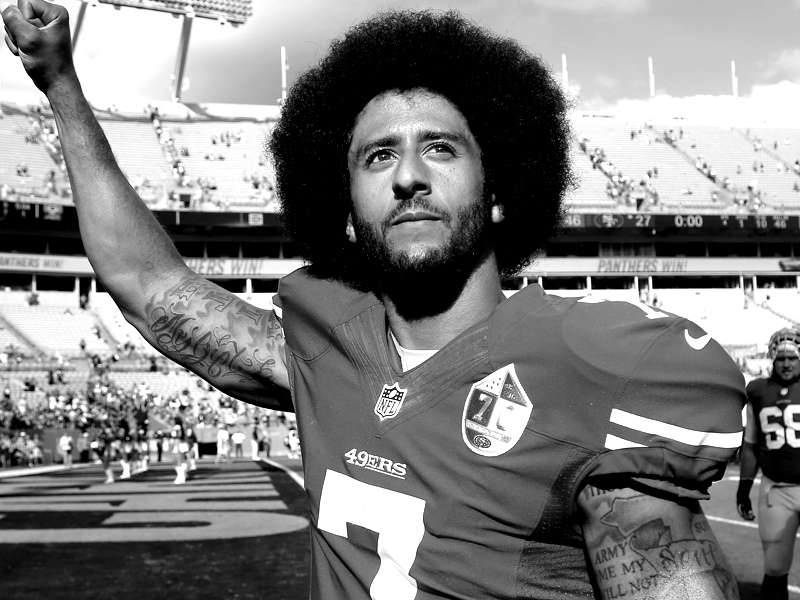 The histrionics on display during discussions about the protest—the latest example being cowardly football executives labeling you a traitor—is rooted in one simple but rarely discussed or acknowledged fact: There has never been an accounting, in the American tradition of violence and bloodshed, in response to the extraordinary wrongs inflicted upon black Americans in this country. Therefore, the reactions to racially based demands for equality and justice or expressions of pride from blacks carry with them the peripheral belief that acts of revenge and retribution, or a substantive challenge to the “liberty and justice for all” facade, lurk in the background. For these reasons, efforts made to punish you for your powerful and unapologetic stance, and pressure on you to walk back your statements, will be relentless. Stay strong. It takes an extraordinary person to stand firm in the face of the adversity that accompanies being a man or woman of principle. It just so happens that my unit is starting a morale initiative in which one day a month, we will be allowed to wear our favorite high school, college or professional football jersey to work with our uniform. I will proudly be sporting a Colin Kaepernick 49ers jersey.